Street Address 2415 Prof. Lineu Prestes Ave.
About The Institute of Biomedical Sciences of the University of São Paulo (ICB-USP) dedicates itself to education, research and extension in the areas of Health Sciences. 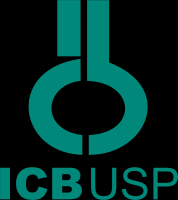 With an increasing number of articles published in periodicals of high impact factor and an expressive fundraising along with research support agencies, ICB-USP has been positioning itself as a favorable environment for scientific development, establishing itself as a scientific reference in Brazil and abroad. In ICB-USP, professionals of different academic backgrounds work together toward scientific development, an advantage that allows the research projects to have an integrated and multidisciplinary approach. Professors, researchers, students and staff work for the scientific production, education and extension of knowledge to society. The graduate and interunit programs reflect the variety of themes and research lines developed in the Institute. There are seven programs hosted and three other inter-unit programs. ICB harbors some of the fundamental Biomedical Areas, such as Morphofunctional Sciences, Bioinformatics, Biotechnology, Cell and Developmental Biology, Pharmacology, Physiology and Biophysics, Immunology, Microbiology, Neurosciences and Behavior and Parasitology. Undergraduate education also reflects the Institute�s innovative profile with Bachelor degrees in Biomedical Sciences and Fundamental Health Sciences, which allow students to access laboratories from the beginning of their education. ICB also offers courses to fourteen other schools of the University of São Paulo, acting on the education of students from different careers in the health sciences fields, such as Medicine, Biology and Pharmaceutical Sciences.